For your consideration is ONE randomly picked Nuummite wand. 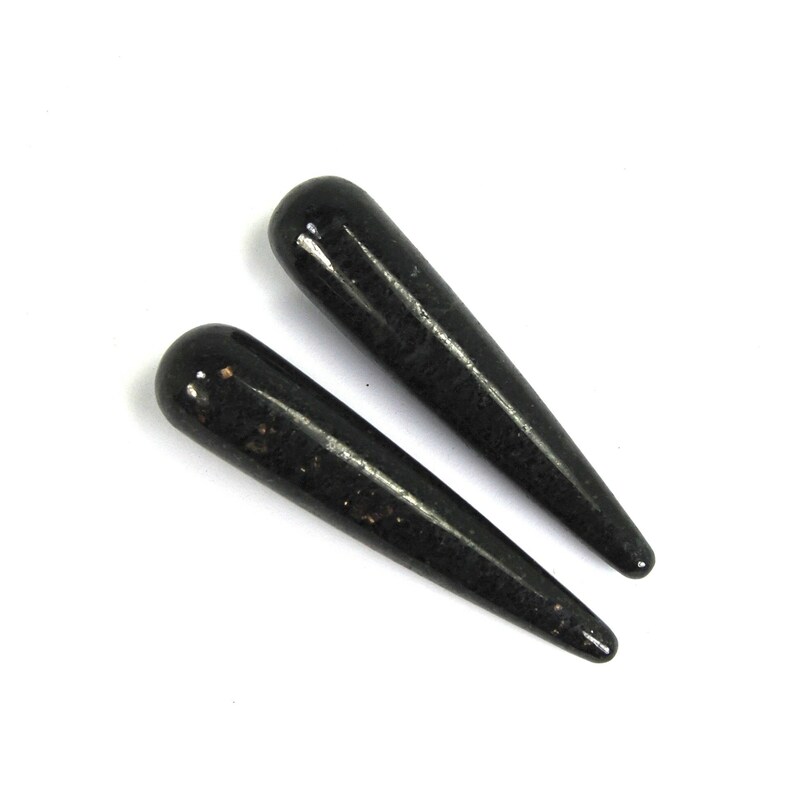 These measure approximately 3.5 inches long and are .75 inches thick at the base. Nuummite is a recent discovery from a mine in Greenland that is only accessibly by boat, at low tide. 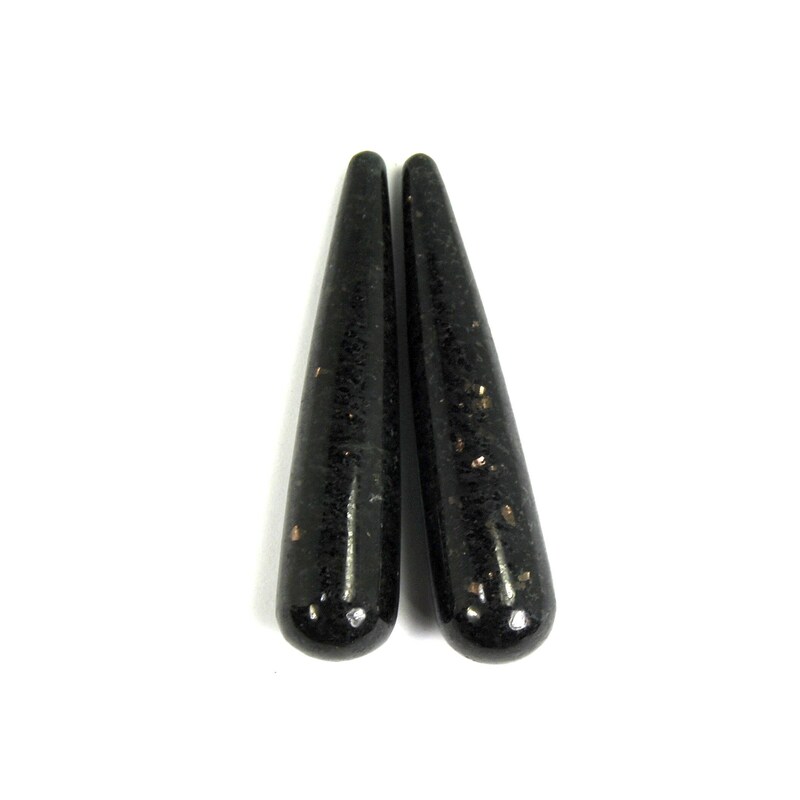 Nuummite is known as the Sorcerer's Stone and in a wand shape, it is thought to draw out negative energies, imprints, hexes, and negative Karma. It is thought to unlock your true inner potential and spiritual strength. 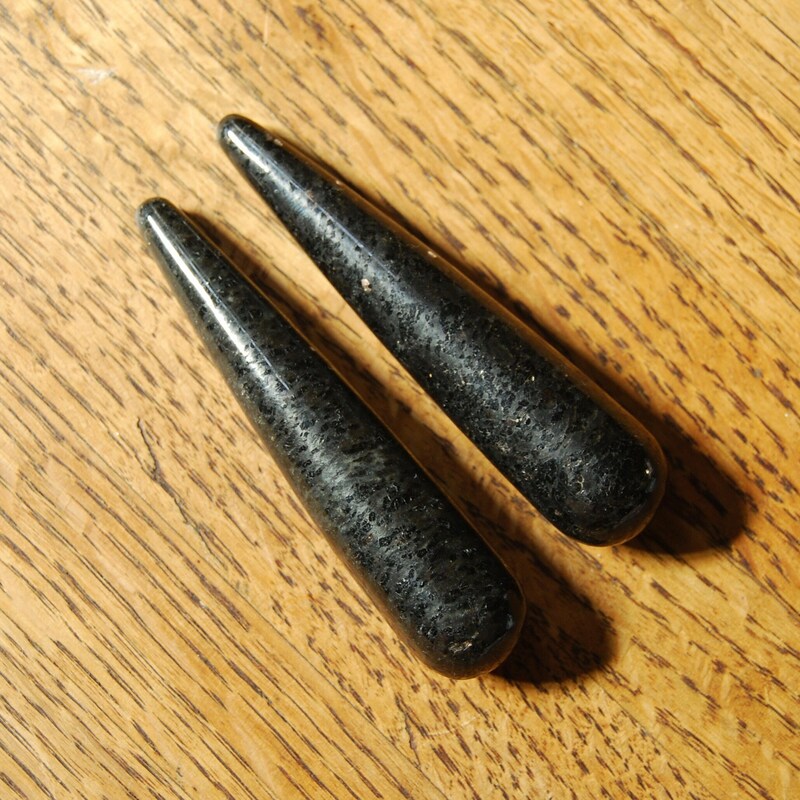 It is a very grounding stone and has a strong connection to the Earth and Nature.